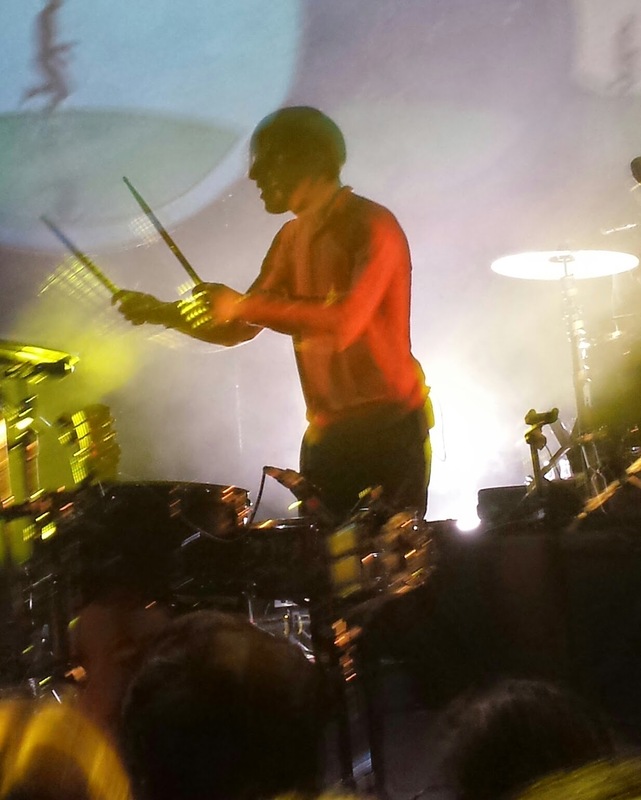 WASHINGTON, D.C. — Seeing Bombay Bicycle Club for the first time felt euphoric. Not only is Flaws one of my favorite albums of all time, but this band is also one the few that defined high school for me. Cue my waves of intense nostalgia at 9:30 Club. 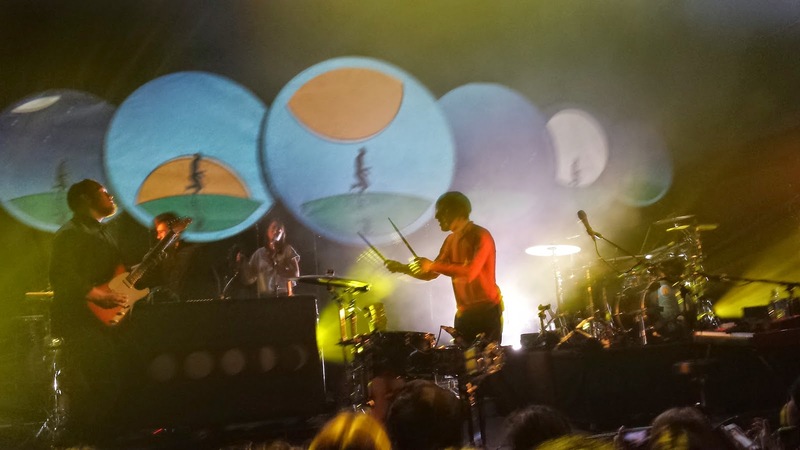 Also cue six circular LED panels featuring animated sequences from the cover art of Bombay Bicycle Club’s latest album So Long, See You Tomorrow, because that’s how the concert began. And then those waves of nostalgia turned into a tsunami of high school fangirling. I am not ashamed, mostly because everyone else was screaming as well when the quartet took the stage and lead singer Jack Steadman walked up to the microphone. Cutting through the extended intro of the song “Overdone,” Steadman’s offbeat voice filled the packed venue. Cue more screams from the pit. As the band transitioned smoothly into “It’s Alright Now,” the crowd went nuts. After all, it’s repetitive beat-wise and lyrically, so the crowd can sing along, and it’s one of the band's danciest cuts from So Long, See You Tomorrow. Fans knew every word — you’d think they might be joining a cult led by a gangly British guy than seeing a concert, but no. They came to worship the British quartet as well as bask in the glow of a band that should be equally popular in the U.S. as they are in the U.K., but somehow aren’t yet. 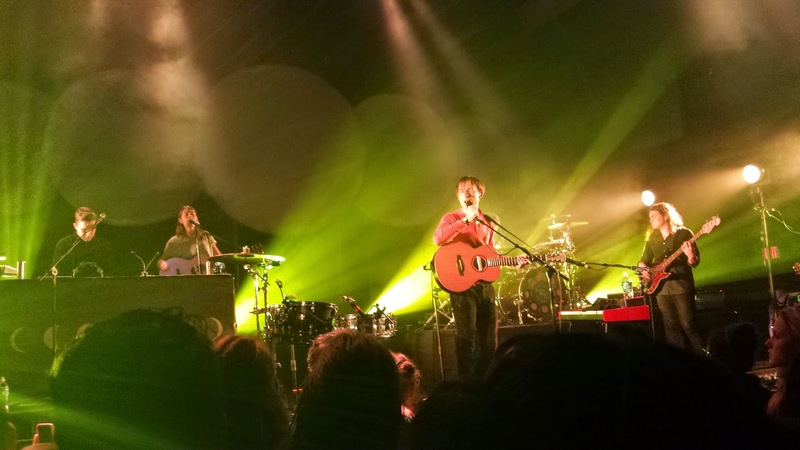 Continuing with the piano-driven track “Shuffle,” Bombay Bicycle Club marked the following portion of the concert with songs from A Different Kind Of Fix. They flowed together nicely, but it was obvious newer fans didn’t recognize the songs from the lack of singing along. After three or four songs, the band delved back into their most recent stuff, including my personal favorite off the new album — “Home By Now.” Liz Lawrence, the band’s female touring member, filled in for Lucy Rose and did an excellent job — her vocals floated over the audience delicately in spite of all the dancing and jumping around taking place. Another stunning piece that followed shortly after was “Eyes Off You.” The upbeat audience was silent as Steadman and Lawrence sang their duet; it was really beautiful to witness. Then, in the middle of the set, it was like Steadman read my mind. Seguing into Flaws, he started with “Rinse Me Down,” and then teased the audience with an extremely long intro to another song. Which one could this be? I knew immediately, because it was the song I’d been waiting for all night, the song that I’ve loved since I was 16 — “Ivy & Gold.” Now, it was my turn to sing every lyric like I was at a Beatles concert, but I didn’t care. Seeing a song I’ve been attached to for so long performed live was a life-fulfilling experience. I only wish that they performed more off of Flaws. Out of all the material performed that night, Flaws was the most underrepresented album. Don’t get me wrong, the rest of the concert was a blast. The rest of the setlist mostly included songs from I Had The Blues But I Shook Them Loose and So Long, See You Tomorrow, and I liked that I could hear a development in Bombay Bicycle Club’s sound between 2009 and now. Though the latest album is bit of a departure from the rawness of their original sound, there’s been a positive development — the Bombay Bicycle Club of today have refined their sound in a good way. By the time they played “Luna,” one of the final songs of the set, I found myself appreciating the new Bombay Bicycle Club. As much as I love Flaws, I realized that Steadman and the gang were also growing up with me; as my tastes and sound preferences have changed, so have theirs. Finishing the concert with “So Long, See You Tomorrow” and a brief two-song encore featuring “Carry Me,” Bombay Bicycle Club went out with a bang. For the former song, audience members in the pit formed a circle and swayed to the soft, whimsical song; during the latter, crazy dancing (and kissing, as far as I could see) ensued all around me. This band definitely had an effect on its audience — maybe it’s nostalgia, maybe they’re one of a kind. Either way, they sure know how to get people to dance.